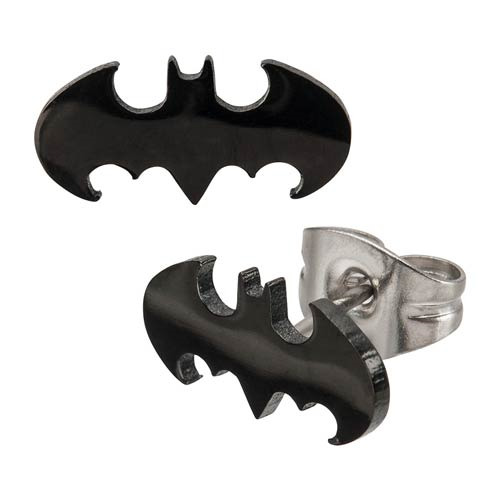 Cut in the shape of the Batman logo, these attention-grabbing Batman Logo Cut Stud Earrings with stainless steel posts will help you look ravishing at your next gala at Bruce Wayne' mansion! Each earring is 1/2 inch long. Ages 13 and up!